The Original Swiss Cannabis Seed Breeders. The F1-Hybrid consists of three relatively homogeneous and pure Genetics from which only the OG.Kush have a little bit more complex family tree. X-Dog is the offspring hybrid of two well-known parents, spanning two continents. The mother is from old-school Dutch genetics; it is Northern Lights x White Widow, and is one of Alpine Seeds’ favourite strains. 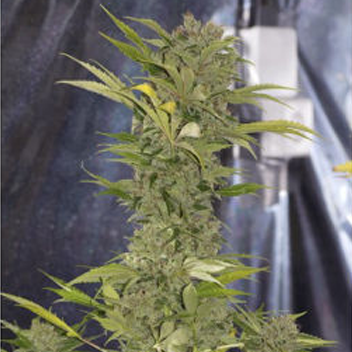 Lemon Larry OG.Kush-IBL is based on an older OG.Kush Larry Lemon-F1 from "Elite Genetics. From this regular F1 generation two female and male plants were selected. The combination of Sweet Tooth and Chemdog dd gives this strain a very good layer of resin, sweet aroma and a strong potency. An original Sweet Pink Grapefruit cutting was used in the mother role, whist Deep Chunk was selected as father. Sweet Pink Grapefruit originates from around Vancouver in Canada. It has existed in cutting form around there for over 35 years and although the exact genetics are unknown there is still a lot of speculation.